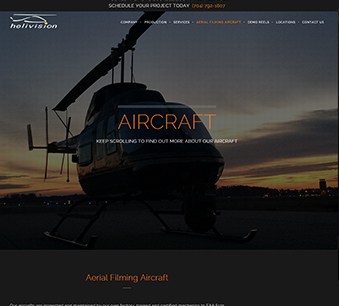 Helivision is an aerial filming company that began filming operations with just one Bell JetRanger helicopter and a small T hanger in January 1995 at the Concord Regional Airport in Concord, NC. Through the years, Helivision has increased the number of helicopters in its fleet, and expanded its filming capabilities. Today, Helivision is still based at the Concord Regional Airport, but we moved out of the small T hangar into a 12,000 sq. ft. hangar facility. 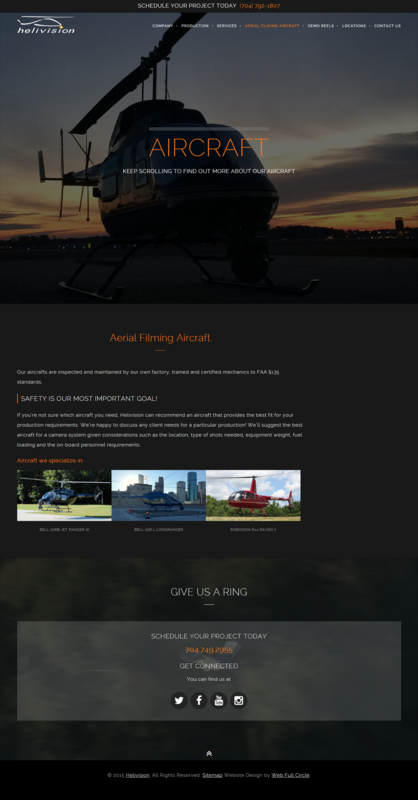 Helivision’s aerial filming operates four aircrafts to meet a variety of budgets and has two in-house Cineflex HD camera systems to provide our clients with a complete turn key aerial production package. 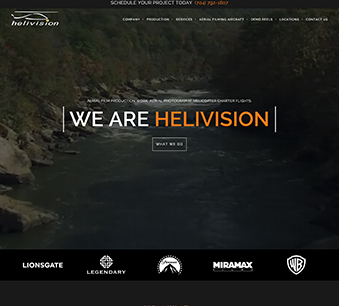 Helivision was a very unique website for WFC for the simple fact that most of the information on their website would be of visual media. Naturally this type of website would suit me and I was surprised to see the quality of content that was provided from the client. I was able to have a lot of fun with this website as it was one of the first websites we built that used video as a main component. This website was also unique in the fact that the client wanted a darker design as opposed to a lighter layout.